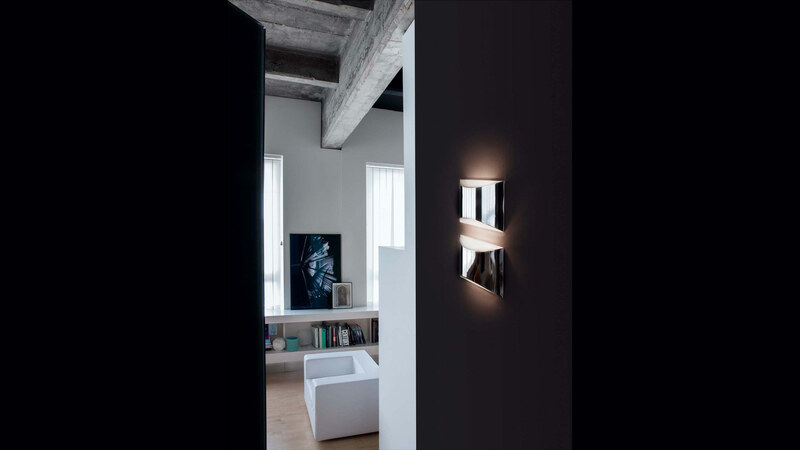 The Kelly wall lamp by Studio 63 is characterised by an elegant, minimalist design, an object that is capable of being gracefully, nonchalantly introduced into a wide range of housing environments. Its rectangular metal shape, made from curved, laser-cut metal, directs the light both upwards and downwards creating diffused, non-invasive lighting. 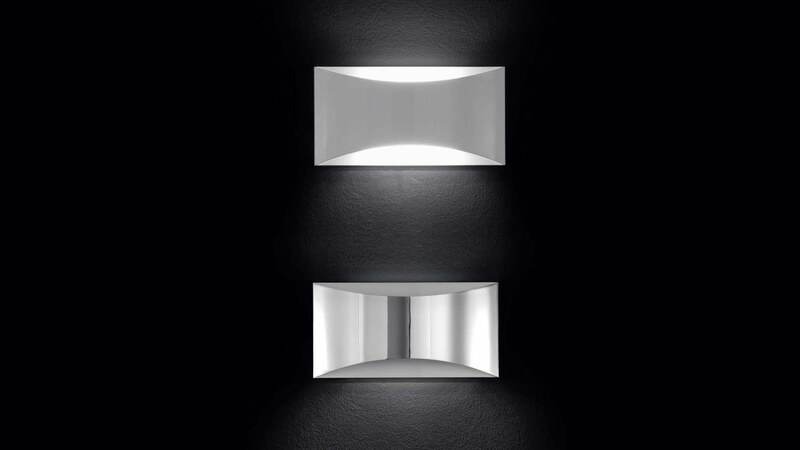 chrome-plated or white finish, Kelly is available in a chrome-plated or white finish, in a Led version or with a traditional light source. Wall lamp giving up & down light in curved laser-cut metal. White lacquered metal wall plate. White lacquered or chromium-plated metal screen.